Written by Takeoka Hazuki. Art and cover by Tiv. As an overweight child, Makabe Masamune was mercilessly teased and bullied by one particular girl, Adagaki Aki. Determined to one day exact his revenge upon her, Makabe begins a rigorous regimen of self-improvement and personal transformation. Years later, Masamune re-emerges as a new man. 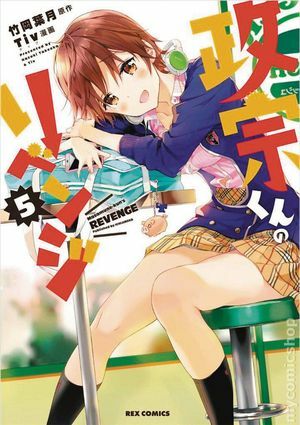 Handsome, popular, with perfect grades and good at sports, Masamune-kun transfers to Aki's school, and is unrecognizable to her. Now, Masamune-kun is ready to confront the girl who bullied him so many years ago and humiliate her at last. Revenge is sweet! Softcover, 5-in. x 7-in., 180 pages, B&W.